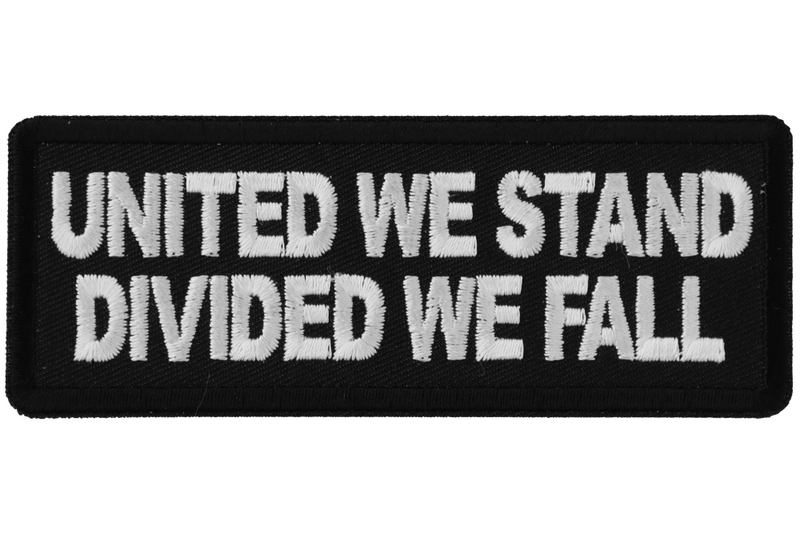 United We Stand Divided We Fall Patch measures 4x1.5 inches and is Embroidered in Black / White. 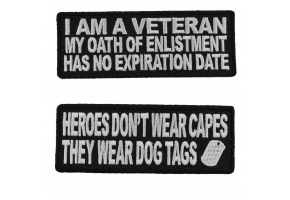 The Small Patch can be sewn on or ironed on to clothing. 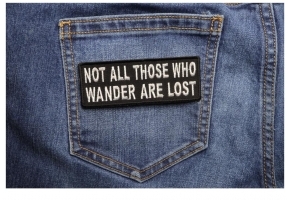 You should sew patches on to leather jackets or vests. 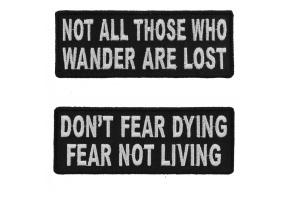 Refrain from ironing on patches to nylon or leather material. The correct iron on temperature is 270 degrees Fahrenheit. If you are using a household iron you should press down for 30 seconds. If you are using a heat press 12 seconds is sufficient. 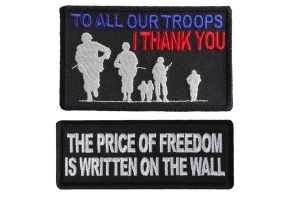 The patch features clean cut embroidered borders which will make it easy to sew on. We cannot recommend an iron setting which will yield you 270 degrees temperature. You can use a frying pan thermometer to find the correct setting of your iron. The temperature setting is very important. Plus or minus 10 degrees of variation is acceptable. But you should never go over 280 degrees Fahrenheit when ironing on the patch. Anything under 260 will also not activate the glue properly. 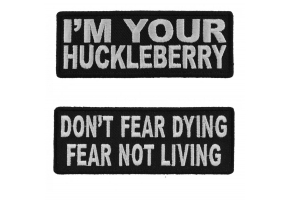 The recommended 270 degrees Fahrenheit setting applies to all our iron on patches. 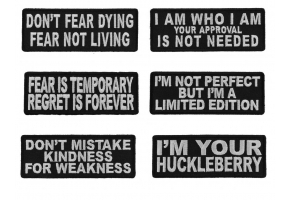 We cannot speak for other manufacturers though. We spend the extra dime to use Japanese brand glue which works very well if applied at the right temperature.